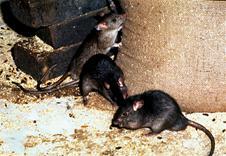 The council does not have a legal duty to provide a pest control service to control rats; however it does have a legal duty to ensure they are controlled wherever they occur whether this be by self treatment by those affected or by the engagement of a private pest control service. No, There is nothing you need to do before we attend. We will, however, require to speak to you on the first visit even if the rats activity is outside. Please note: We might not provide treatment, or may stop treatment where repairs, or other necessary steps to prevent access or attraction, to a property have not been carried out.